The Indian Premier League attracts some of the best players in the world, some of the largest crowds and the most ardent supporters, and this year they’ve been rewarded with a fabulous season of some of the best white ball cricket ever. 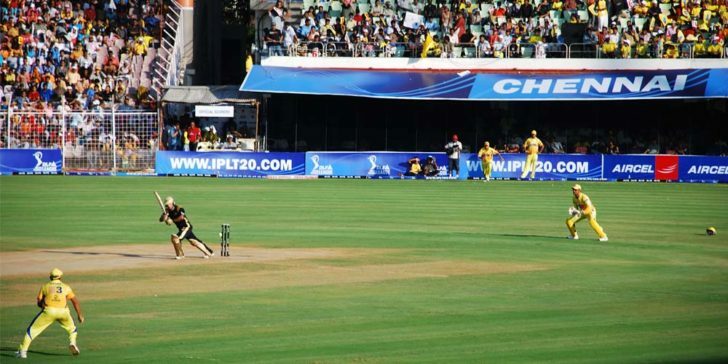 With the season around the half way mark we take a look at how the 2019 IPL odds on the Chennai Super Kings and their rivals have shifted at the bookies like BetRally India, one of the best online sportsbooks sites in India these days. Before a ball had been bowled or a batsman even strolled to the crease there was a worry that this year the Indian Premier League was going to be a bit lop-sided, that one of the teams was going to rush off into the distance on the back of consecutive wins and leave the rest standing in their wake. Fortunately the 4/1 odds the Hyderabad Sunrisers were getting at that point proved to be overly optimistic as they now significantly trail the 2019 IPL odds on the Chennai Super Kings. Where Hyderabad have failed the Kings have succeeded, moving in from 11/2 all the way up to 15/8 making them favorites right now, although those 2019 IPL odds on the Chennai Super Kings are hardly unassailable with so many games left to go. Indeed the Mumbai Indians who began at a rather dour 11/2 now fetch 10/3 making them quite a good bet on sports in India as they share 2nd place in the table with two of the other surprisingly effective teams this season has kicked up. The Dehli Capitals share that 10 point tally with the Indians. As do the Kings XI Punjab, each of them having won five games thus far, and whilst the Capitals began at a now almost insulting 7/1 and battled up to 9/2 at the bookies like BetRally India, the Kings XI have only creeped up the chances to 8/1 from their pre-season odds of 9/1. This puts them well behind the 2019 IPL odds on the Chennai Super Kings, but ahead of the pre-season favorites the Hyderabad Sunrisers. Having lost four of their seven games the Sunrisers have spectacularly failed to live up to the expectations of both bookies like BetRally India and the fans who’ve taken advantage of Indian gambling laws to back them. Their 10/1 chances to win the season indicating they’d need a miracle to come back now, and whilst some ardent supporters will bet on them to do so, the more sensible will be eying those 2019 IPL odds on the Chennai Super Kings and licking their lips. Of course, if the boys from Hyderabad are feeling low spare a thought for the Rajasthan Royals and Royal Challengers Bangalore who might have started the tournament at 11/2 and 6/1 respectively but now languish at 66/1 with only three victories so far between them. They’re so far behind the 2019 IPL odds on the Chennai Super Kings they’d need binoculars to see the front runners, but their fate is at least a little more colorful than that of the Kolkata Knight Riders. Whilst you should back the 2019 IPL odds on the Chennai Super Kings which have closed up so considerably at bookies like BetRally India, one of the best online betting sites in India these days, and Hyderabad’s have slipped away from them, the Knight Riders have shown remarkable consistency. They began with a bland 6/1 chance at the outright victory in the Indian Premier League and currently having precisely the same odds after playing whole eight games.